If you’re looking to get started in forex trading, an online forex trading course is a great way to introduce yourself to the market while avoiding costly beginner’s mistakes. Benzinga's exclusive offer gives readers access to one of Udemy's best selling Forex trading courses, perfect for any skill level from beginners to advanced. Along with live examples and personalized resources, you will also get lifetime access to the course information which is constantly updated. As the world becomes more and more interconnected and countries begin to rely on imports and exports to keep their economies functioning, forex trading has risen up as a popular alternative to stock trading. Forex traders enjoy the freer schedule that comes along with the decentralized currency market, which forgoes the traditional 9-to-5 schedule on which Wall Street operates. An online course is a great place to start. But which forex courses are worth your time and money? We’ve reviewed some of our favorite online forex courses as well as some tips to help you separate the legit instructors from the scammers. Holding a student’s interest is much more difficult for an online instructor to do than an in-person instructor, as online courses must compete for a limited pool of attention with everything from television screens to children running around. The best online courses use live demonstrations, video recordings, graphs, and other supplemental materials to break up massive walls of text and keep the students engaged. Unlike a textbook, which allows you to flip to the material you need and dive in, online course material requires the instructor to possess a certain level of technical proficiency. The best online forex courses keep the material up to date and fresh by ensuring that all links work and video clips play without excessive loading times or constant buffering. Bonus points can be awarded to the courses that format materials for mobile or offer separate downloads aimed at on-the-go learners. You can tell how much an instructor cares about his or her material by how professional its presentation is. Keep an eye out for spelling errors, text that’s in an unusual or unreadable font, poor design choices, and material that seems to proceed in an illogical order, as these are all signs that the instructor has not thoroughly proofread his or her material. If the instructor can’t be bothered to care about the course’s content, how can he or she expect his or her students to? Based on the criteria above, we made our picks for the best forex courses available on the web at a wide range of price points. “Forex Trading A-Z” is an in-depth course to teach you the complete ins and outs of the entire forex market, including how to trade and make money off currency movements. Whether you are starting at the beginning, or looking to brush up your skills and get the most relevant information, “Forex Trading A-Z” is a lifetime subscription where Kirill Eremenko, your instructor, gives you unlimited lifetime access to his constantly-updated content. Eremenko wants to show investors proof that trading forex can truly make you a profit. His course includes detailed lessons about currencies, charts, bulls & bears, short selling, a review of honest brokers to use when trading, how to read the Calendar of Economic events to master the diverse and worldly marketplace, a Forex Market Hours wallpaper for your timezone, and much more. Whether you’re new to everything Forex or looking to add to your ever-growing understanding of trading international currencies, Eremenko is bringing over seven years of experience to your home through his Udemy course. DailyFX.com is a forex education website that offers a number of courses that gradually increase in complexity and depth, similar to the structure you’d receive if you were following a traditional university track. The site offers four levels of instruction, ranging from “beginner” to “expert,” as well as supplemental eBooks, podcast episodes, and live charts to support the concepts covered in the courses. DailyFX.com, as its name suggests, also offers daily news and currency picks to keep students up to date on the latest in market movements. Best of all, its resources are free for anyone to use—all you’ll need to provide is an email address, and it will deliver trading guides directly to your inbox. DailyFX.com is best used by the novice or intermediate trader who has a basic grasp of forex is but still requires a lot of hand-holding and instruction when it comes to the nitty-gritty. If you’ve got the basics down, it’s time to seriously start considering your trading strategy. 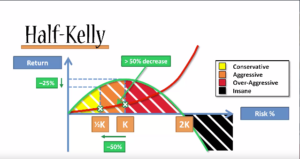 “Forex Strategies: Kelly Criterion, Larry Williams and More” takes a look at historically successful trading strategies, including from Larry Williams, who turned $10,000 into $1.1 million in 12 months. Catering to an audience of all types of traders, including Forex, this course will allow you to learn and evaluate risk management techniques, case studies to apply to real life situations, and gain an understanding of trading methods like the Kelly Criterion. The course will also cover the logic presented by Ryan Jones in his book “The Trading Game,” taking all of this a step further and showing you how to apply these processes to your own trading. The course comes in the form of a three hour video, two articles, two downloadable resources, lifetime access after purchase, and many more features to help you access and retain your course. 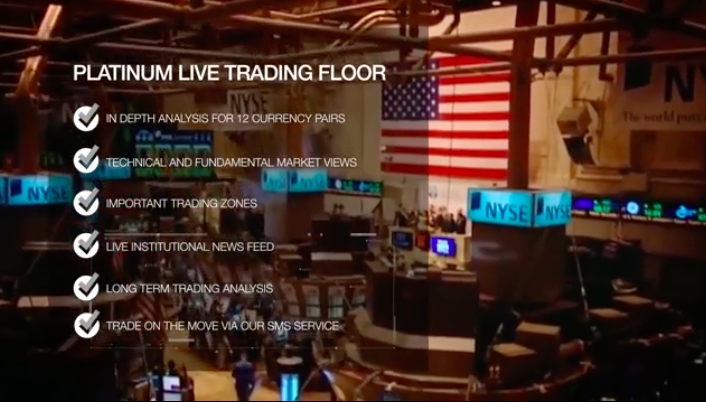 The most unique aspect of its educational offerings is its “Trading Television,” which provides traders with real-time tips and demonstrations. From live trading bulletins that offer daily recommendations on which currencies to buy and sell to live chats and interviews with senior trading experts, Platinum Trading Academy’s offerings are exceptionally diverse and a great fit for any forex trader, no matter their skill level. Though many forex traders are attracted to the international currency market because it allows them to trade on their own time, Bizintra places focus on the importance that live demonstration has on a trader’s understanding of the forex market. 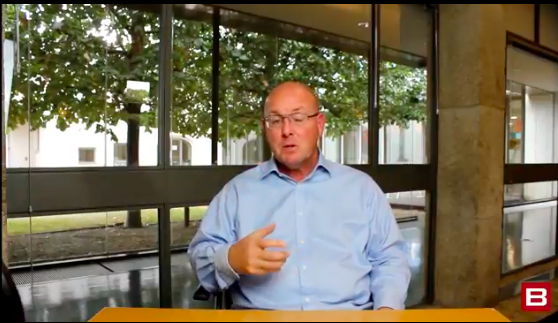 The cornerstone of their platform is the “signals and trades room,” where students can tune in live with seasoned traders Jason Sen and Nick Leeson, each of whom have over 30 years of experience working in the financial and trading industry. Live trading sessions are also supplemented by on-demand video tutorials, trade reviews, and training courses that focus not only on helping traders understand the strategies and technical indicators they’ll need to know to be successful, but also helps them build confidence in their knowledge as well. Subscriptions to Bizintra’s platform and ongoing educational resources are sold on a monthly basis and start at about $130 USD a month. The site also offers a limited number of “sponsored packages” each month, which come along with no fees or contracts. If you’re serious about trading but don’t have the funds to commit, applying once or more for sponsorship can be your ticket to Bizintra’s offerings. Learn to Trade is an Australian-based platform that’s great for absolute forex beginners. Though more experienced traders might find the introductory information to be of little use, Learn to Trade’s lead instructor Greg Secker’s teaching style is fun, easy to follow and dynamic, distilling complicated concepts into more digestible “bites” of information. Learn to Trade offers a few introductory lessons for free before introducing students to their paid mentorship programs. If you’re located in Australia, you can also pop in at one of their free trading workshops. Learn to Trade also offers one-on-one forex coaching and training as well. While this is a more expensive option than most other online courses, it might be the right choice for a student who requires a more individualized approach to learning or who needs that extra push of confidence and motivation. TradingAcademy.com also offers a unique tuition rebate program that encourages students to use the information they’ve learned in a real-world setting. After completion of the course, students are given a voucher that they can submit to their broker that returns 10-20% of gross commissions to the education platform on a rolling basis. The company then reimburses the cost of tuition—meaning that for the most active traders, the eventual cost of education can be equal to $0. As its name suggests, Forex School Online is a website devoted entirely to helping students grasp the basics of the forex trading sphere. 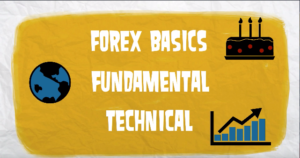 Forex School Online offers two courses: a beginner’s course aimed at novices that’s available for free, and a more advanced trading course that covers strategies, technical indicators, and the psychology of forex trading. Perhaps one of the most unique and standout aspects of Forex School Online is the support that lead instructor Johnathon Fox offers his students. Enrollment in Forex School Online’s “Price Action Trading Course” gives students direct access to support from Fox via email, and he’s open and available for both questions and comments regarding the site’s functionality and how it can be improved. Six Figure Capital’s strengths lie largely in its design and aesthetics—the website and sample platform look great, and you can tell that Lewis Glasgow has poured a ton of passion into his project. Presented in a straightforward and simple format, Six Figure Capital offers a 14-day crash course in entering the forex market, along with a number of trading strategies and lessons on indicators. Though the course is shorter than most other options included on the list, it manages to pack a massive amount of information into its material without overwhelming you. More so than any other market, the forex trading sphere is dynamic and changing on an hour-to-hour basis. The best forex trading courses don’t just teach you the technicalities of how to operate the platform and choose which currencies are worth investing in—they also offer you information and reliable, unbiased sources for the news you need to understand why the global economy is moving the way it is. A single corporate decision, new tax policy, or election in any country can affect what your money is worth. Looking to learn more about the forex market before you commit to an online course? 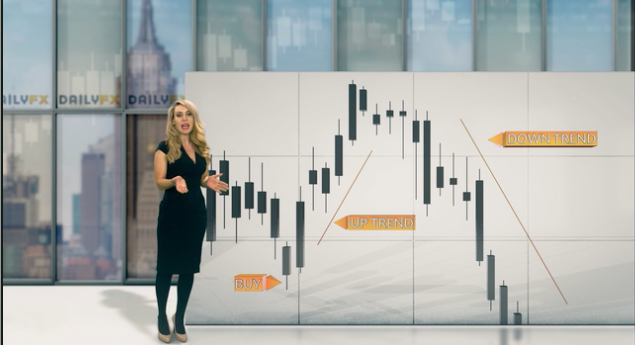 Check out Benzinga’s crash course in forex trading or follow our forex trading breaking news feed to get a grasp on the global economy before you buy.